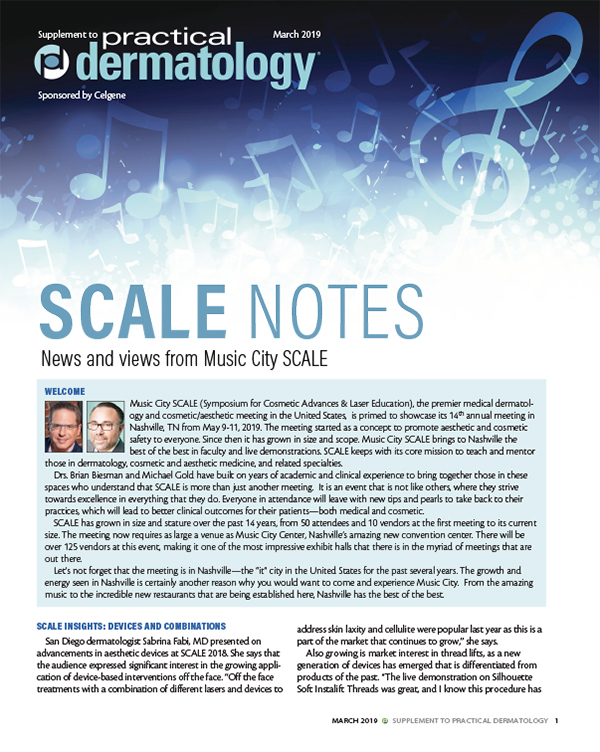 Music City SCALE (Symposium for Cosmetic Advances & Laser Education), the premier medical dermatology and cosmetic/aesthetic meeting in the United States, is primed to showcase its 14th annual meeting in Nashville, TN from May 9-11, 2019. The meeting started as a concept to promote aesthetic and cosmetic safety to everyone. Since then it has grown in size and scope. Music City SCALE brings to Nashville the best of the best in faculty and live demonstrations. 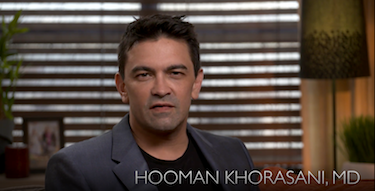 SCALE keeps with its core mission to teach and mentor those in dermatology, cosmetic and aesthetic medicine, and related specialties. Drs. Brian Biesman and Michael Gold have built on years of academic and clinical experience to bring together those in these spaces who understand that SCALE is more than just another meeting. It is an event that is not like others, where they strive towards excellence in everything that they do. Everyone in attendance will leave with new tips and pearls to take back to their practices, which will lead to better clinical outcomes for their patients—both medical and cosmetic. SCALE has grown in size and stature over the past 14 years, from 50 attendees and 10 vendors at the first meeting to its current size. The meeting now requires as large a venue as Music City Center, Nashville’s amazing new convention center. There will be over 125 vendors at this event, making it one of the most impressive exhibit halls that there is in the myriad of meetings that are out there. Let’s not forget that the meeting is in Nashville—the “it” city in the United States for the past several years. The growth and energy seen in Nashville is certainly another reason why you would want to come and experience Music City. From the amazing music to the incredible new restaurants that are being established here, Nashville has the best of the best. San Diego dermatologist Sabrina Fabi, MD presented on advancements in aesthetic devices at SCALE 2018. She says that the audience expressed significant interest in the growing application of device-based interventions off the face. “Off the face treatments with a combination of different lasers and devices to address skin laxity and cellulite were popular last year as this is a part of the market that continues to grow,” she says. SCALE presenters often use the podium time to preview what’s ahead in a particular area. 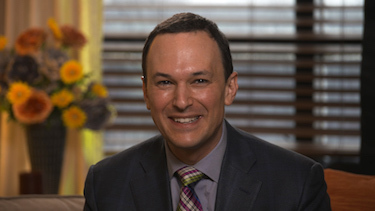 Dr. Fabi says that last year, “We previewed the use of dilute Radiesse to tighten the skin of both the face and body.” Since then, she notes, consensus guidelines on the use of dilute Radiesse were published in Dermatologic Surgery (November 2018). Acne is a near ubiquitous condition, affecting patients across a spectrum of ages. Advancements in the field continue to develop, and Julie C. Harper, MD, of Birmingham, AL, is slated to address hot topics in acne at SCALE 2019. There is also additional data on isotretinoin and depression that may help squash long-simmering controversy. “We have a meta-analysis of studies looking at depression associated with isotretinoin and when the data is compiled, it appears that the net effect of the drug in the population is improvement in depression,” Dr. Harper notes. Looking to the future, Dr. Harper anticipates the possible approval of a topical sebum inhibitor in the antiandrogen clascoterone (Winlevi, Cassiopea). The problem of antibiotic resistance persists, and it is important that dermatologists prescribe responsibly. Speaking at SCALE 2018, Dr. Stein Gold shared pearls for proper prescribing with short course oral antibiotics. “Combination therapy with potent topical medication and oral antibiotics are effective in getting acne under control, but for many patients it is possible to stop the antibiotics after four to five months and just continue on the topical medication and maintain control,” she emphasizes.